Ron Franscell is a journalist whose work regularly appears in publications such as the Washington Post, Chicago Sun-Times, San Francisco Chronicle, Denver Post, San Jose Mercury-News, St. Louis Post-Dispatch, and Milwaukee Journal-Sentinel. 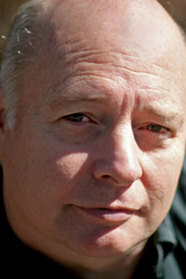 He is also a novelist, whose books include Angel Fire and The Deadline. He grew up in Wyoming and currently lives in Texas.